Victorinox are better known for making Swiss Army knives, handy in all kinds of scenarios. However, they also make watches, and this particular limited edition one, the I.N.O.X. Carbon, comes with a detachable USB-charged flashlight accessory and a paracord strap. 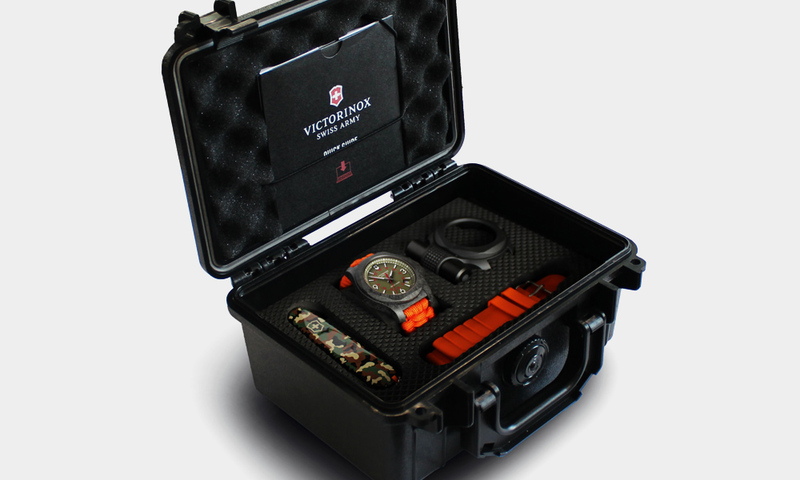 As well as being quite a handsome timepiece, the Victorinox I.N.O.X. Carbon has a case that has been tested in space (so you're totally fine to wear it while in orbit) and subjected to 130 extreme endurance tests. 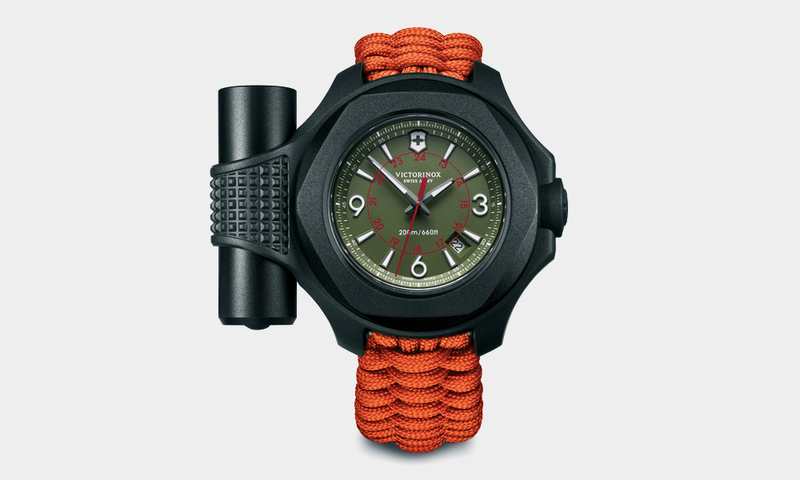 It also comes with a spare strap, so if you need to unwind that paracord to abseil down a mountain you'll still be able to wear the watch, and obviously if you need to sweep a building for hostiles you can use the torch.